Auckland Libraries has recently added a further selection of photographs from the South Auckland Courier files of the late 1960s to the Footprints database. These images provide a visual feast of local events, people and fashions at the time. 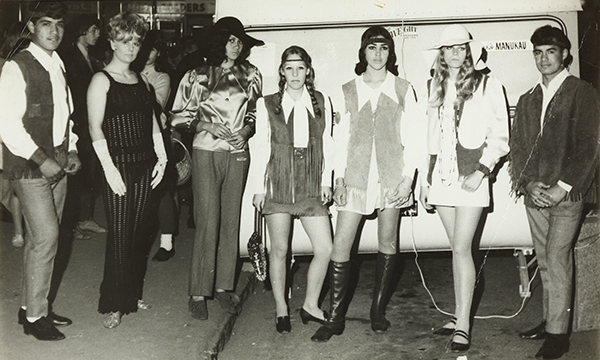 Here a group of young people model the latest styles during an open air promotional event organized by the Otahuhu Business Association, Eve's Apple Boutique and Radio Manukau in September 1969. The garments include a knitted jumpsuit, miniskirts, fringed jerkins and jackets, and a variety of hats and headbands. Ref. MurrayFreer, ‘Fringe fashions’, Otahuhu, 1969. Auckland Libraries, Footprints 07815. Photograph originally published in the South Auckland Courier Central Edition, 24 September 1969, p. 24, reproduced here by courtesy of Fairfax Media. This photograph, like many others in the newly released collection, was taken by the well-known local photographer Murray Freer. Murray began providing photographs to the Courier as a freelancer in 1958, then progressed to reporter, and finally became editor of the Courier’s southern editions. Murray has provided us with a fascinating account of his years behind the camera (Murray C. Freer: A Photographer’s Life). In another example of Murray’s work, children from the East Tamaki School are depicted singing an Austrian folk song during the Otara Schools Music Festival at Otara (later Hillary) College in August 1968. The conventional schoolchildren’s clothing provides a striking contrast to the far-out styles shown above. Ref. 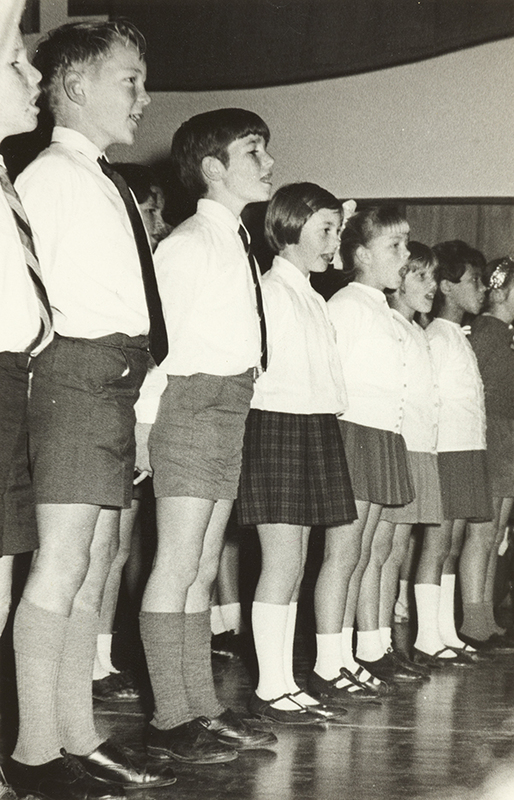 School music festival, Otara, 1968, Auckland Libraries, Footprints 07578. Photograph originally published in the South Auckland Courier Central Edition, 14 August 1968, p. 28, reproduced here by courtesy of Fairfax Media. Below Murray has captured a group of checkout operators competing in the 'checker of the year' competition at Woolworths’ Otahuhu branch. Entrants were assessed on personality, accuracy, speed and personal appearance. Ref. ‘Flying fingers’, Otahuhu, 1969. Auckland Libraries, Footprints 07753. Photograph originally published in the South Auckland Courier Central Edition, 30 July 1969, p. 28, reproduced here by courtesy of Fairfax Media. Despite Murray’s ubiquity, many of the photographs published in the South Auckland Courier were uncredited. Nonetheless every image had a story to tell, whether personal or public. Here’s a view of a controversial State housing development underway in Bader Drive, Mangere, in June 1969. A local builder had warned that building houses and units of this standard would turn this part of Mangere into a shanty town. Local ratepayers’ organisations also expressed their concern to Manukau City Council, only to be told that, since it was a State subdivision, the council had no control over the quality of the buildings. Ref. ‘Shanty town’, Mangere, 1969. Auckland Libraries, Footprints: 07732. 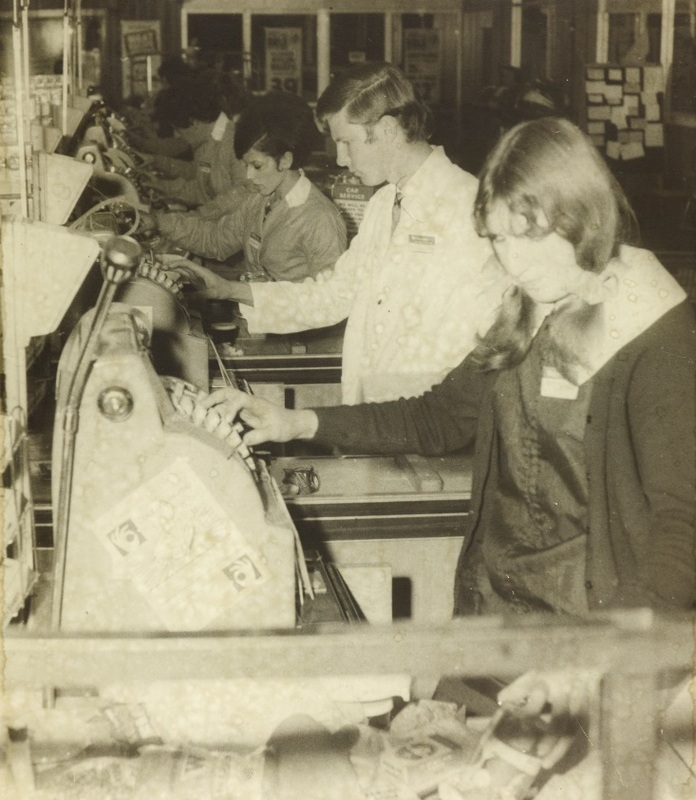 Photograph originally published in the South Auckland Courier Central Edition,25 June 1969, p. 3, reproduced here by courtesy of Fairfax Media. 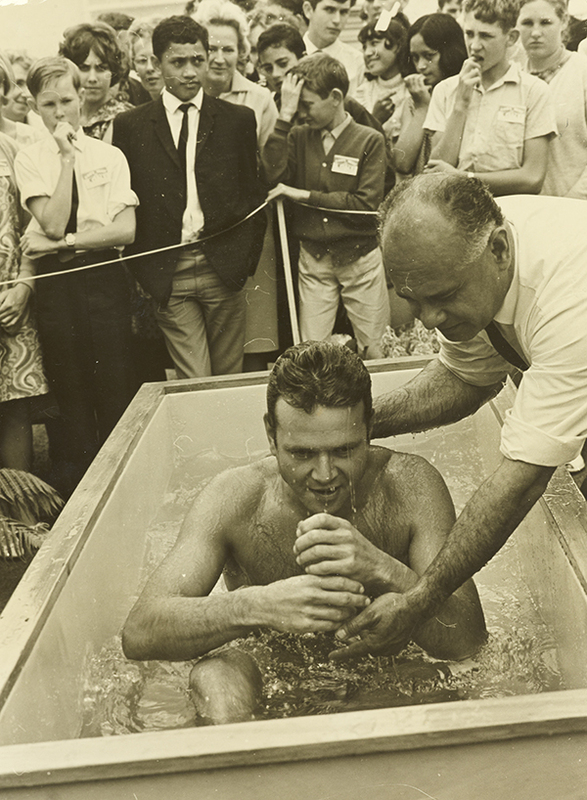 Below, a new convert is baptised in the open air during a Jehovah’s Witnesses assembly held at the Pukekohe War Memorial Town Hall on 9 February 1969. Ref. Baptism,Pukekohe, 1969. Auckland Libraries, Footprints 07666. Photograph originally published in the SouthAuckland Courier Central Edition, 19 February 1969, p. 20, reproduced hereby courtesy of Fairfax Media. Finally, here’s a scene in a men's hair stylists shop in Otahuhu. Muri Waata attends to a customer while his partner Charles Tumahai takes a few minutes’ break to enjoy a quiet cigarette. In 1969 it was obviously still okay to smoke on the job. Ref. 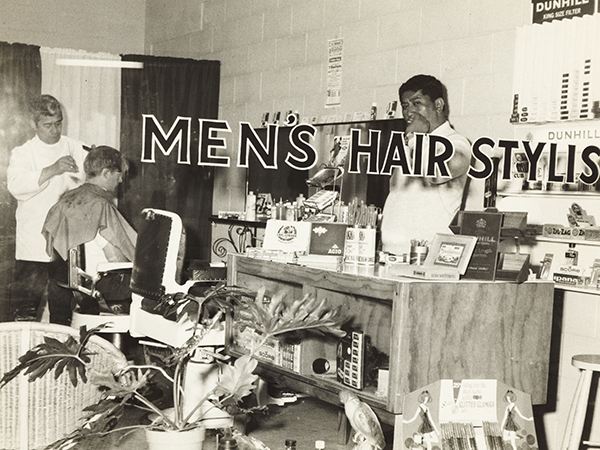 ‘Snipand smoke’, Otahuhu, 1969. Auckland Libraries, Footprints 07883. Photograph originally published in the South Auckland Courier Central Edition, 10 December 1969, p. 38, reproduced here courtesy of Fairfax Media. Passenger lists: Where did my ancestor come from?